Keep out four-legged creatures from your garden. Some animals including cats, deer, dogs and rabbits — can’t stand the scent of vinegar even after it has dried. You can keep these unauthorized visitors out of your garden by soaking several recycled rags in white vinegar, and placing them on stakes around your veggies. Resoak the rags about every 7-10 days. Soak some recycled rags in vinegar. 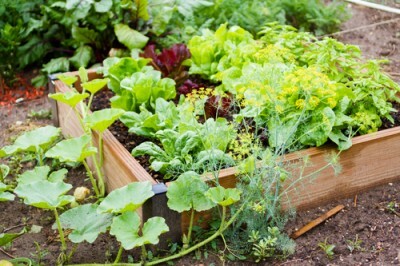 Place rags around the edges of your vegetable garden. Re-soak the rags every 7-10 days.